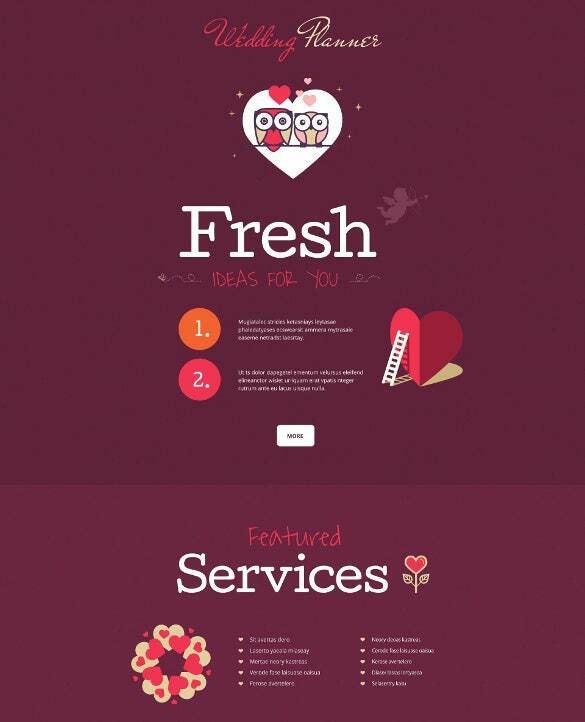 WordPress has apt themes for every occasion and event. 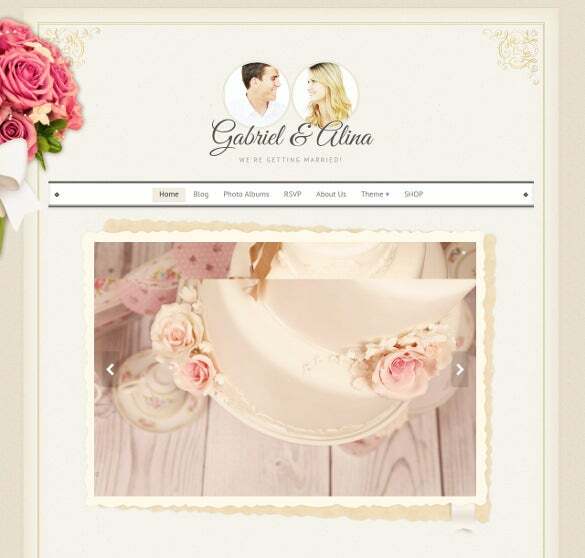 You can make your wedding even more special by starting a wedding themed WordPress blog. This is a golden opportunity for event managers and organizers as well. 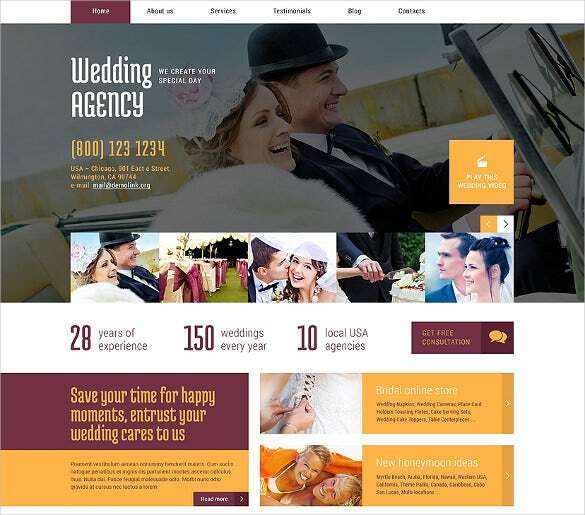 The ones who specialize on weddings can create their own business websites by using these WordPress themes.You may also look Wedding WordPress Templates. 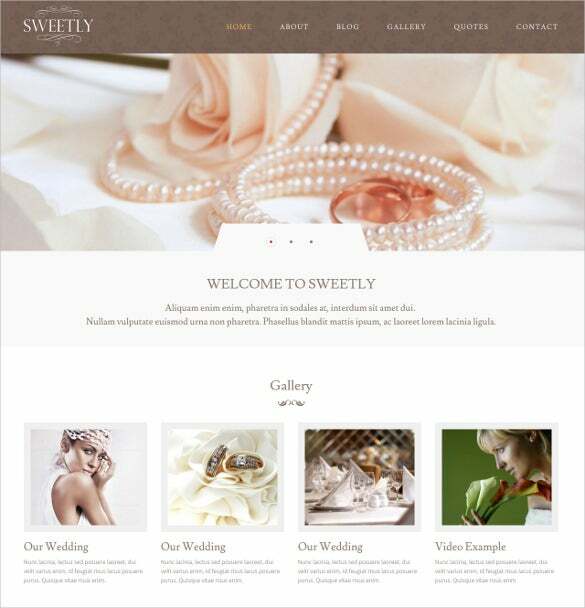 This is a beautiful WordPress wedding store theme with a desired soft romantic touch. You can create slidebars easily, adjust the menu typography and the site is available with multilingual facility. 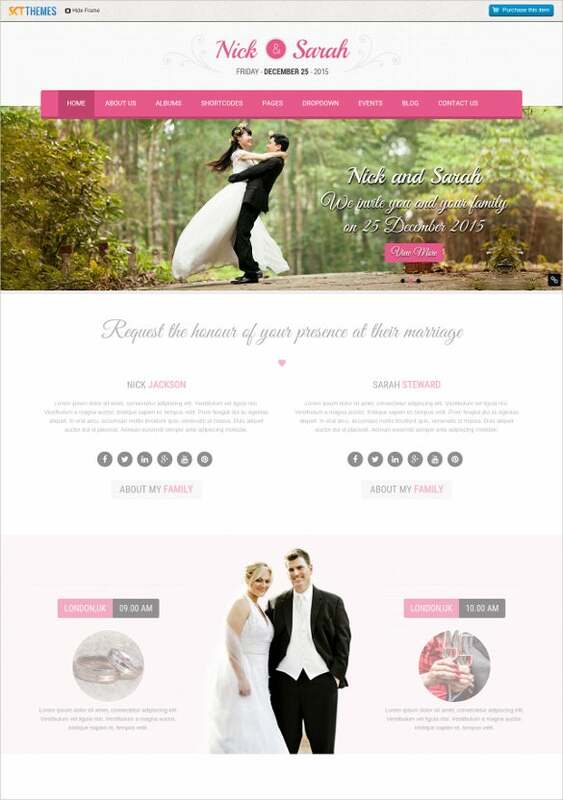 This responsive wedding WordPress template is a dream come true for any wedding-themed site. You can add smashing photos and videos here as well as interesting articles for the blog. 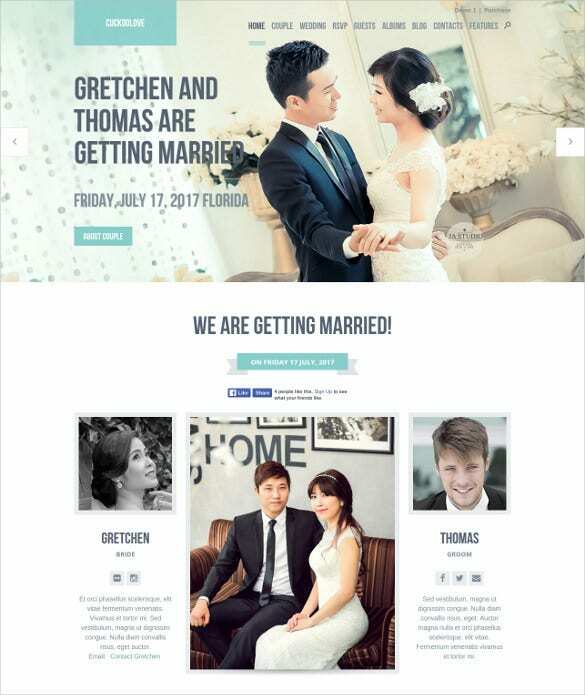 This wedding WordPress template would be great if you are looking to create a site for your own wedding. 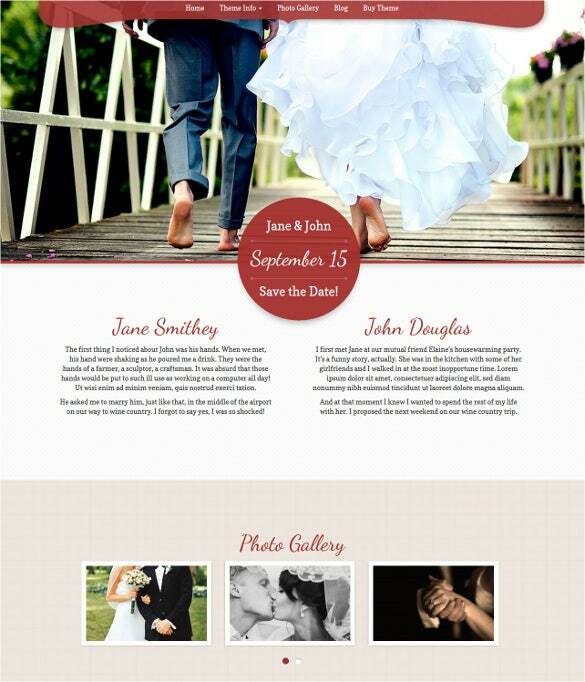 The home page opens up with a brief introduction on the couple followed by amazingly romantic shots. 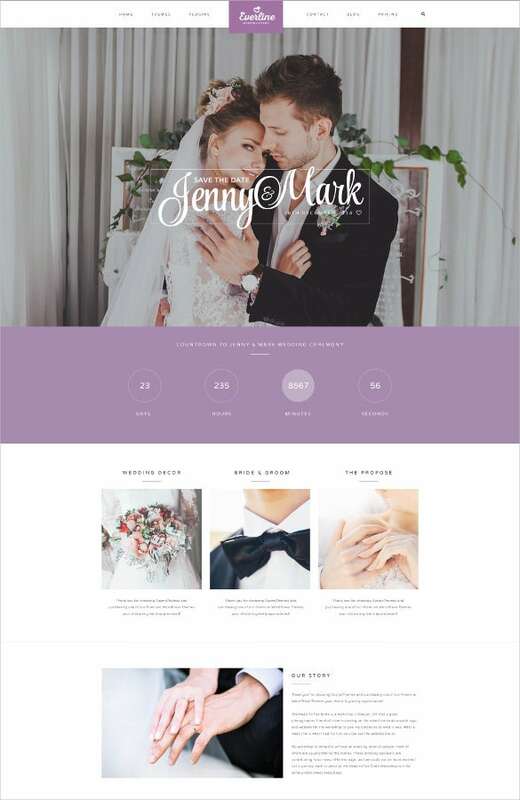 You are getting a truly elegant wedding planning consultancy template here that comes with an advanced responsive design, multiple color options, four image gallery, price table, news block and all other practical solutions. 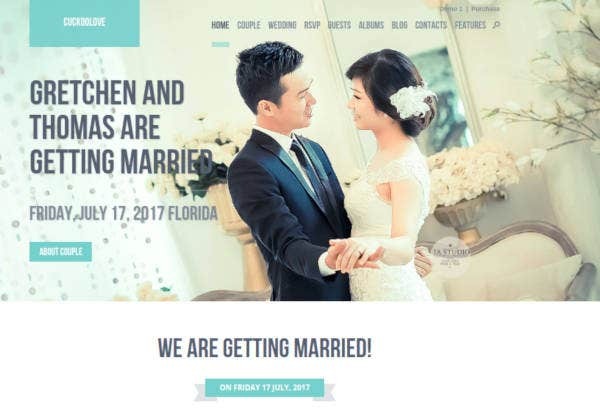 This premium wedding WordPress theme starts on an interesting note by offering a short story on boy-meets-girl to make it even more romantic. 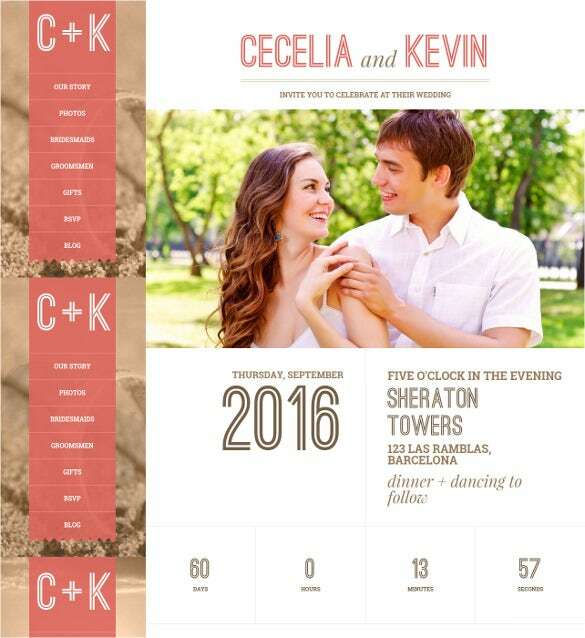 The wedding party details are noted in brief at the top. 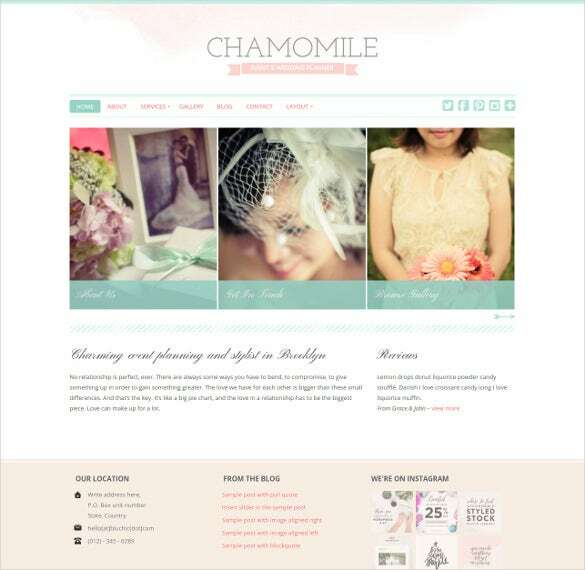 Simple Wedding theme is a plain design crafted for your blogs and wedding stores. It offers features like full-width pages, archives, social options, commenting box, and contact option. For a better blogging experience, the theme is incorporated with archives, and search block. 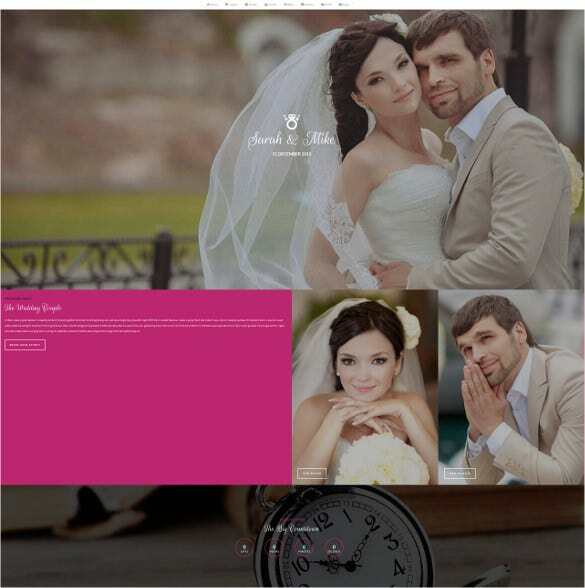 Enabled with fluid grid system view, Vintage wedding theme crafted on a responsive layout is a fitting template design for your wedding stores and blogs. 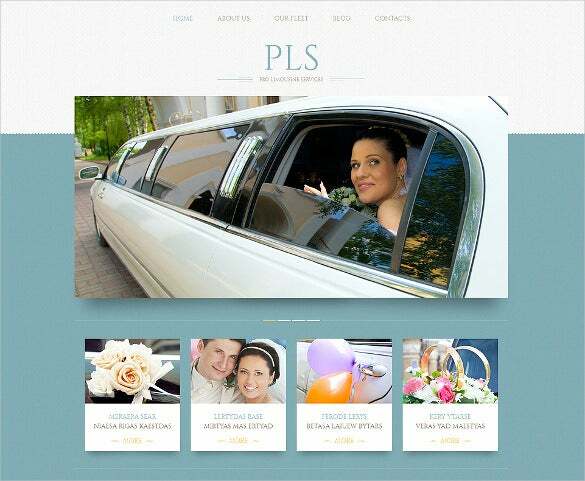 It comes with advanced theme options, custom background, Ajax Photo Album gallery, bride and groom photos, widget areas, SEO ready, social options and is compatible with popular browsers. 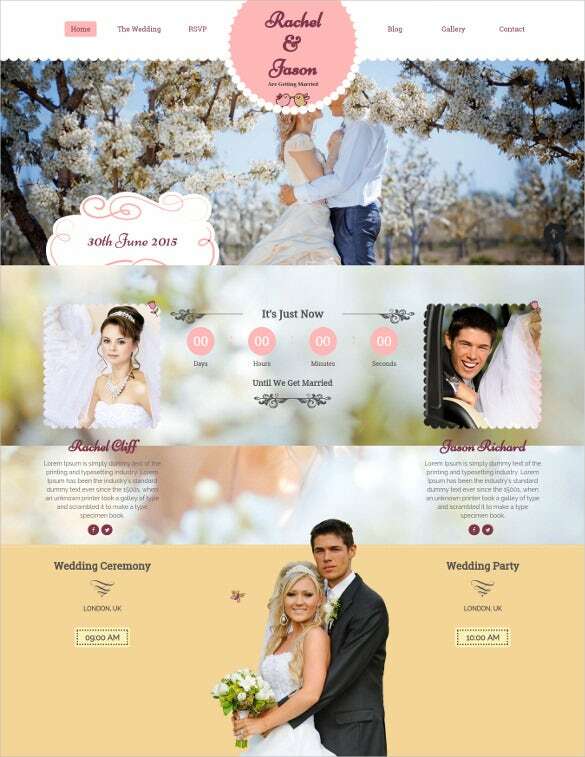 Attractive Wedding theme could provide an additional charm to your website. With its sweet and sophisticated furnishing, it is a good choice for a wedding, photography, event planning brands and paper stationary stores. 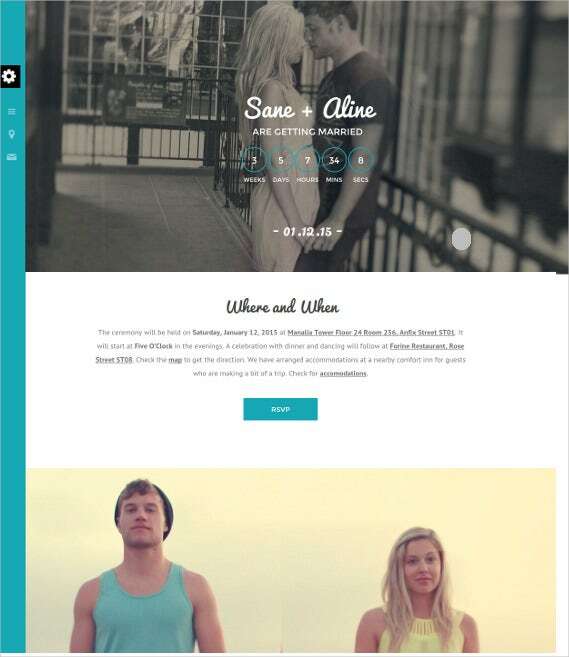 The theme features a responsive layout, social media options, customizable backgrounds, theme options and cross-browser compatibility. 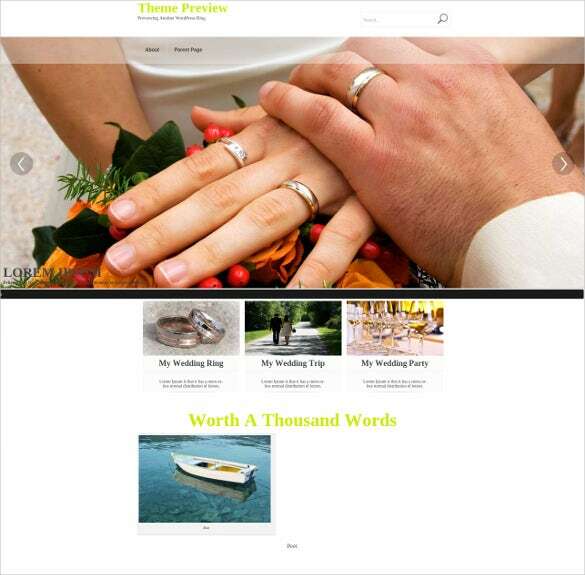 Wedding Planner is an ideal choice to station your online presence for your wedding and event management agencies. This fully editable theme comes with 80 plus shortcodes, custom post types, supports multiple languages. Based on Bootstrap, the theme features advanced theme options, social options on a responsive design. 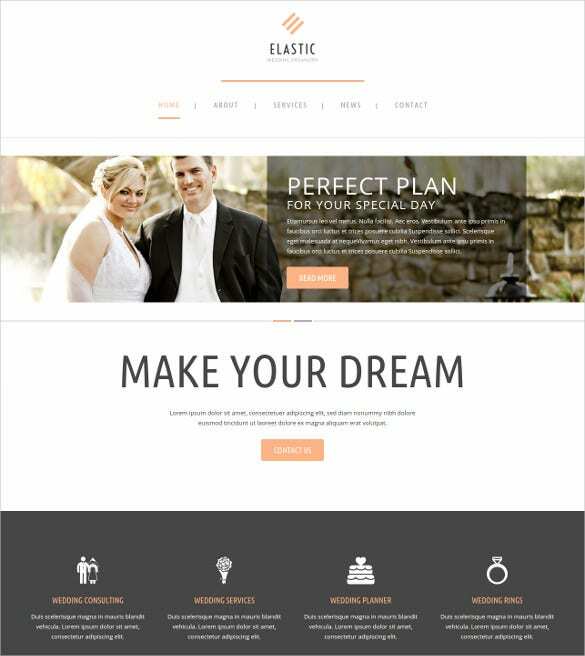 A minimalistic theme perfect for wedding agencies and personal wedding websites, Excellent Wedding template is packed with many features to give extra dimensions to your online store. With retina image display, the theme also offers menu managers, custom widgets, dropdown menus, image sliders and is well documented. 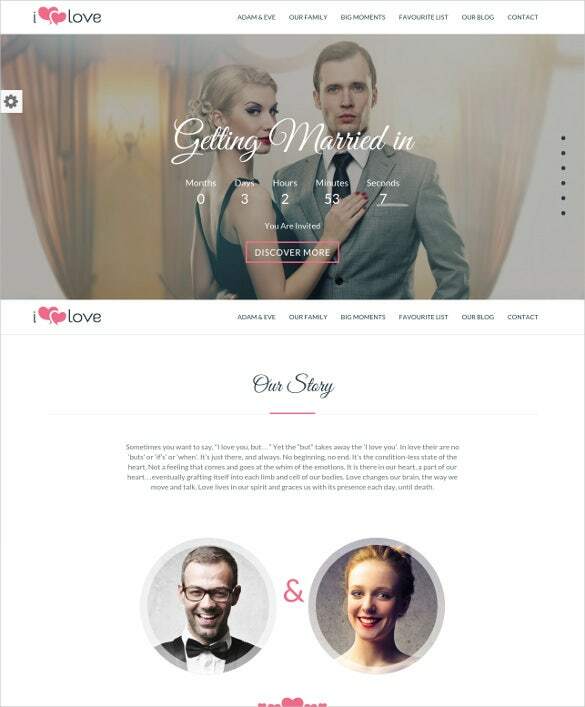 Composed on a responsive layout, Love Wedding template is designed for personal wedding websites and wedding agencies. The theme commands the attention of the viewer with its cool background images and eye catchy designs. 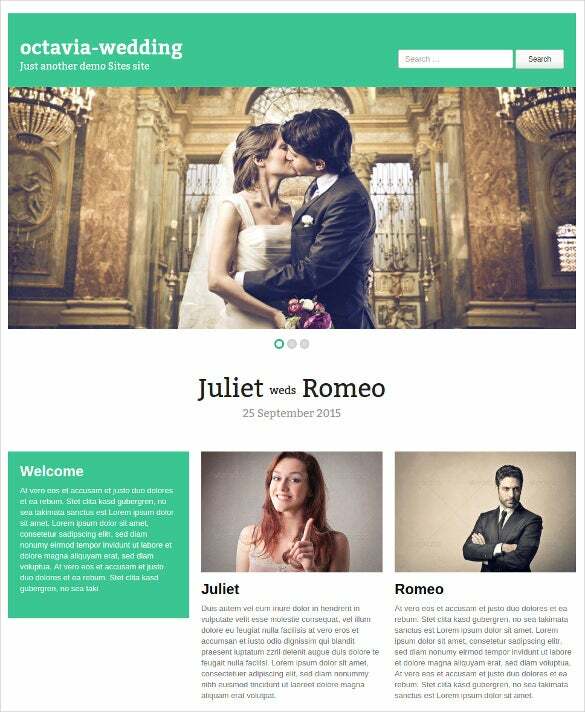 It also contains homepage builder, RSVP templates. Revolution slider, countdown timer, advanced theme options and many customizable options. 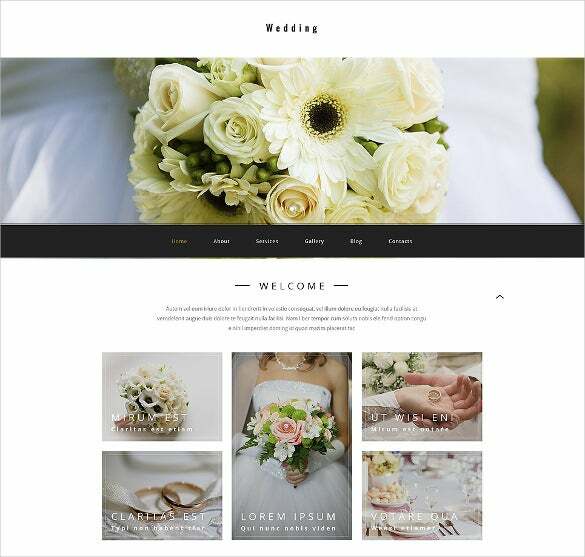 Developed on a Bootstrap framework, Responsive Wedding Planner theme is a good choice event management websites and wedding companies. Enabled with an admin panel, the theme has 4 image sliders, supports audio-video integration, quick and easy navigational tools, social options, 80 plus shortcodes and advanced backup features. 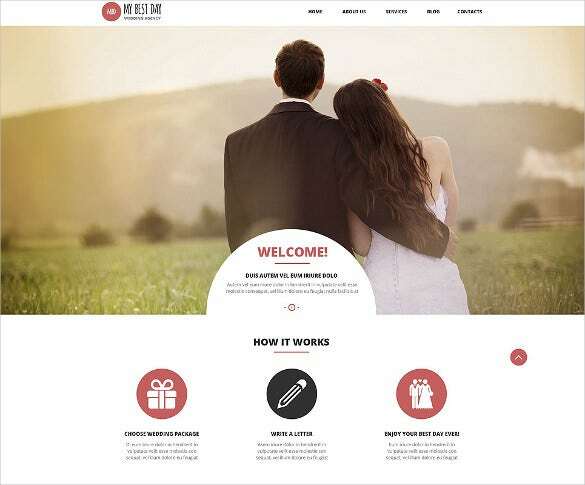 Beautiful Wedding Theme is romantic design crafted to record some special moments in life and is also suitable for wedding agencies and photography websites. Based on Foundation Framework, the template is designed on a responsive design with many features. 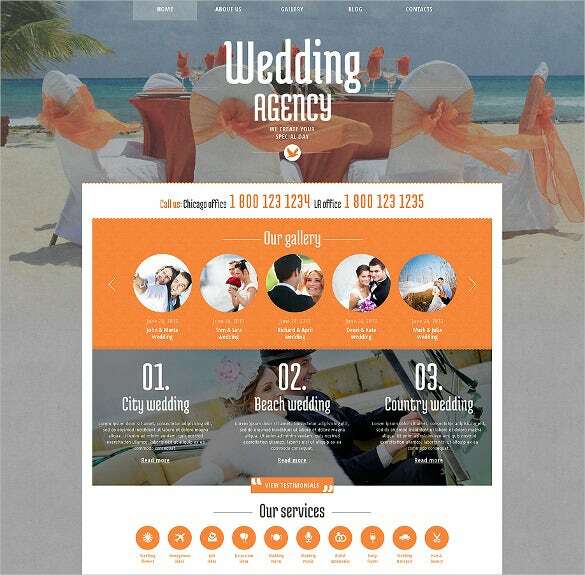 The theme comes with smooth scrolling options, retina image display, Google maps and lightbox photo gallery. 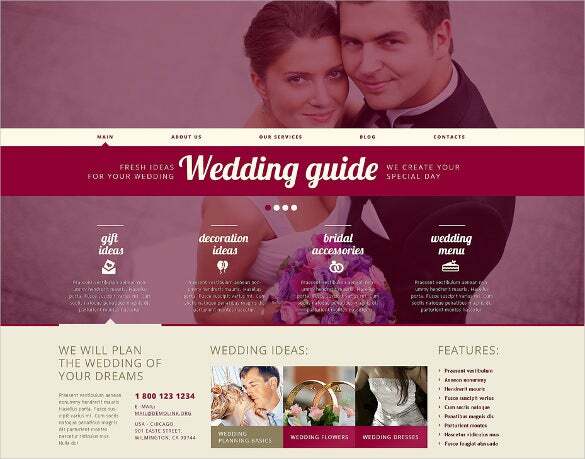 With an elegant appearance, Splendid Wedding theme is an ideal choice for wedding companies and other event organizers. With five home pages, Splendid also features visual composers, events calendar, Google web fonts and maps, mega menu, responsive layout, font awesome icons, WPML ready and is well documented. They are well suited for showcasing all kinds of weddings, traditional weddings, beach weddings, plush receptions etc. The flexible core code allows one to modify the websites according to their need. 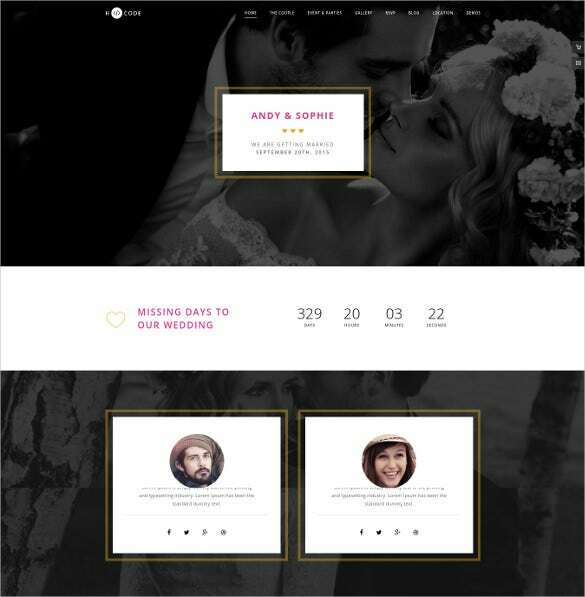 There are multiple color options ranging from pristine white to sober beige, there are floral and abstract themes which are most popular at the moment.The layout can be changed as well. 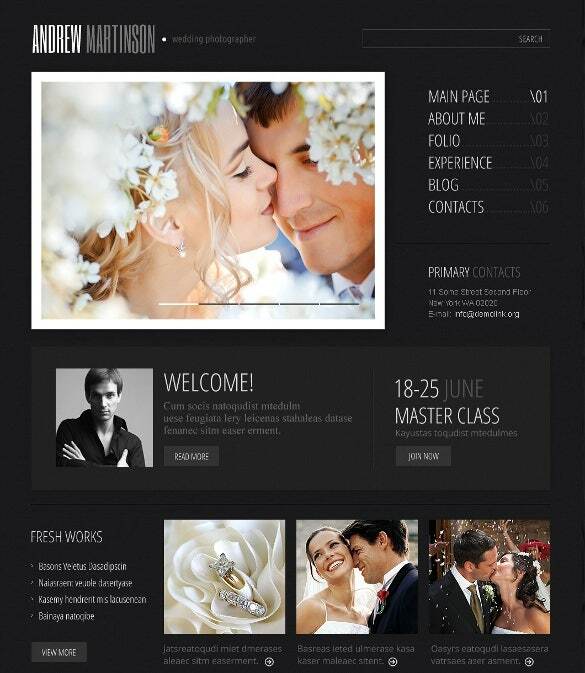 You May also visit Wedding PHP Themes. Any good wedding theme 215 should come with provisions to accommodate high resolution pictures, text rich contents, a countdown calendar and event itineraries. 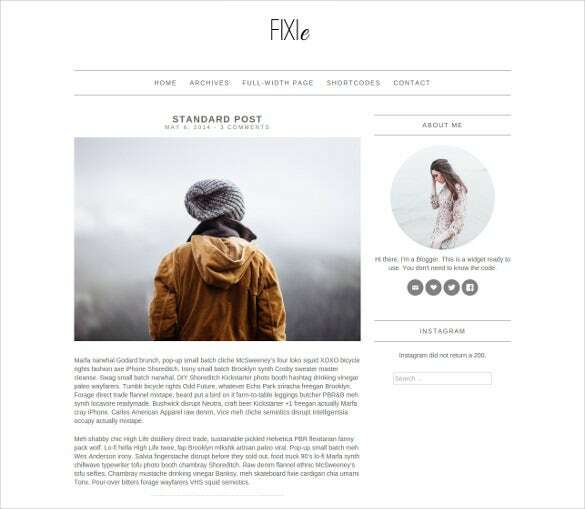 For personal blogs it is a must for the themes to have personal appointment calendars which can also be accessed and viewed by ones’ followers.These themes are compatible with other extensions such that, your website can be coupled with extensions which send out wedding invitations attached with RSVPs to the registered members. 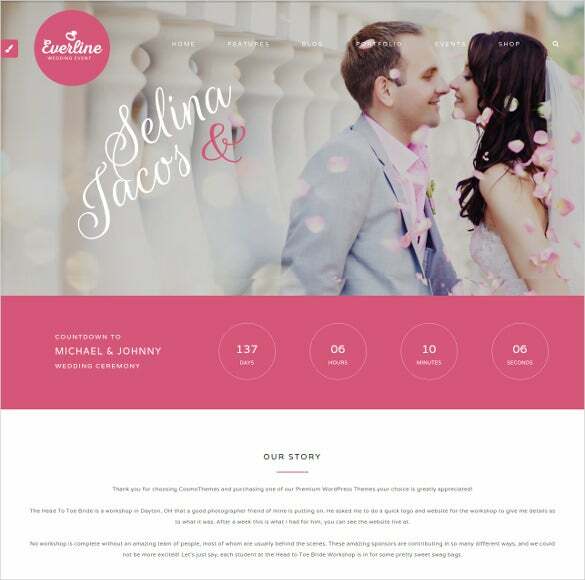 The extensions for member registration and contact forms can also be used as parts of these themes.Organizers can showcase featured weddings on these multi-page websites. There are separate banner areas and information areas about the bride and the groom. Information regarding the dress and accessories designers and the organizers can also be included similarly. Followers can leave comments by virtue of the threaded comments feature that characterizes these themes and templates. You can choose from hundreds of Google fonts, layouts and polish the SEO features from inside out. 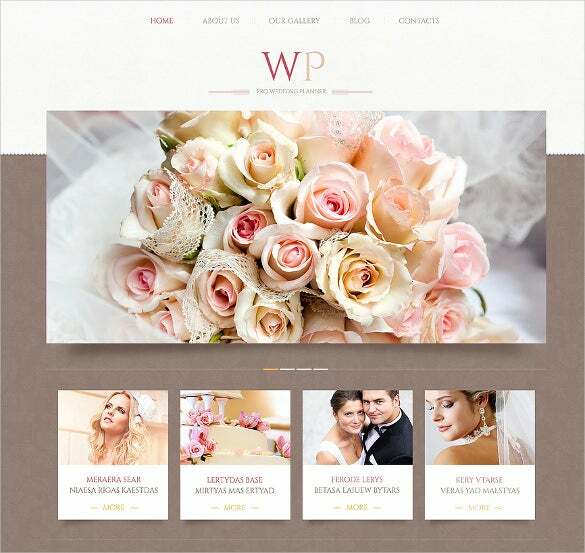 Visit BestPlugins to explore the possibility and dynamicity of such wedding themes for WordPress and transform your website, today.